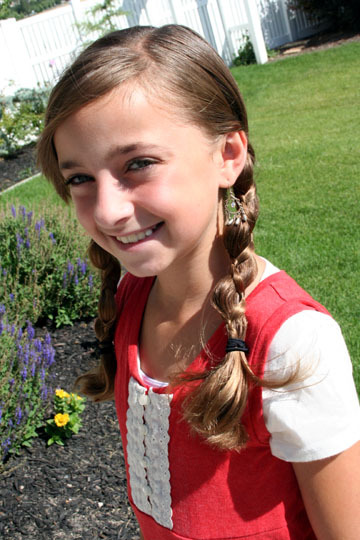 This is one of those braided hairstyles that is perfect for a teenager as well because the style is unique enough not be seen as little Laura Ingalls-ish. 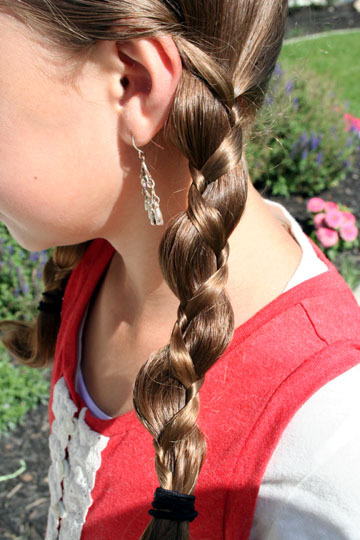 The braid needs to be done fairly tight (although popular braid styles today are worn fairly loose) because if it is not, the smaller strands cannot grip the larger one… causing you to lose the creative bends throughout the day. Items Needed: Spray bottle, rat-tail comb, 2 hairbands, accessories (as desired).